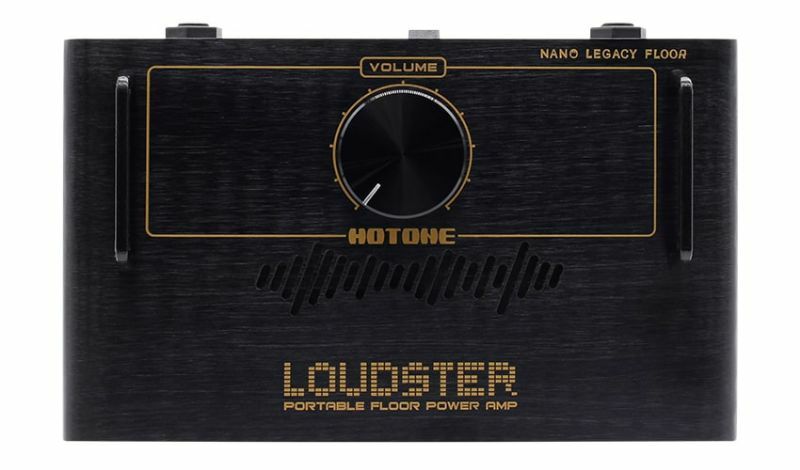 Loudster is a compact power amp specially designed for guitarists. This portable 75-watt power amp puts out a huge, natural tone with musical power. With Loudster at the end of your FX chain, you can forget about hauling an amp around-plug into any cab and you’re set. WHAT IS A POWER AMP? A power amp is an electronic amplifier that amplifies low-power electronic audio signals (electric guitar pickups, pedal/preamp/amp modelers) to a level that is strong enough to drive loudspeakers. It is typically the final stage of an audio signal chain before going to the speaker cabinets. The output signal of preamp pedals and amp modelers are generally too weak to drive a cabinet, and this is where Loudster comes in. WHAT DOES LOUDSTER DO? Guitarists don’t want to haul around big amp rigs anymore. Some are hooking up digital multi-effects to run straight to the house, but most guitarists want to hear an amplified sound through a dedicated speaker cabinet. Loudster is the middleman between your beloved amp tone and a speaker cab. Whatever you put in front of it gets up to 75 watts output power and huge SPLs! One knob control lets you adjust the overall volume in real time.